only in clinical environments and individual sessions. Brent's classes and workshops are infused with his unique sense of humor, positive energy and personalized attention. Catering to both beginners and advanced yogis, he offers a friendly, encouraging environment, providing adjustments or alternate poses as needed. Each class is different, scored by a handpicked selection of the best mantra music. 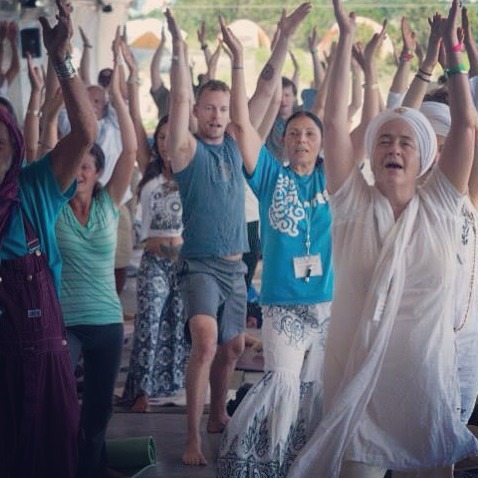 Yoga and Meditation workshops of all types have been offered at different locations, and in the past have included the West Hollywood Chamber of Commerce, Immanuel Presbyterian Church, Summer Solstice Sadhana Celebration in New Mexico, The Los Angeles Gay Healers Circle, and Medical Applications of Kundalini Yoga for Nurse Practitioners. Physiologically, Kundalini Yoga tunes up your glandular system, the guardian of your health. Your master gland in the brain (pituitary) is responsible for those warm, fuzzy chemical secretions, like serotonin. The ancient Yogis knew how to stimulate this gland through breath, movement and chanting, which sends telegraph-like messages through the roof of your mouth. Remember the old fashioned telegraph in movies like "Lincoln"? It's the same thing happening when you chant. The tongue creates a specific pattern on your upper palate, stimulating energy meridians, sending vibrations to your brain and glands. The result is... "Ahhhh I feel good". The stretching and deep breathing practiced in yoga have an effect on the body different from other types of exercise. Accumulated mental stress lodged in the body is one of the pandemics of our society. Since mental stress collects first in the mind, then translates to the body, the best way to release it is through the body, which then affects the mind. Stretching increases circulation, range of motion in the joints, improves posture, relieves pain and brings an overall sense of well being. Energetically, yoga strengthens the aura around your body, (electromagnetic field) clears and balances your chakras, (energy centers) bringing you closer to heart centered soul living. Yoga means "union" and true Yoga practice brings an authentic harmony to those parts of you that go unnoticed, unloved or unforgiven. Body, mind and spirit begin working together in an unexpectedly practical way. "Thank you for what you choose to do! You are so inspiring and fresh in your approach to yoga! Sometimes Yoga can seem so serious (which is okay) but, your huge smile and warm heart is Godly in itself. I appreciate you taking the time to explain the different mantras and relating our modern day human experience to that of our ancient masters in a simple yet profound way...it's so exciting!" "I took your prosperity workshop a few weeks ago and I don't know what you did, but whatever it is, I'm so grateful to you and wanted to take this opportunity to thank you. The main thing I wanted to manifest was to move to San Francisco and get a new job up there by the end of the year. Literally, 4 days after your workshop, I received not only one, but two job interviews. It feels that I'm one step closer to manifesting my desire and your workshop was that extra little push I needed. I was about ready to give up on this because I felt like it was never going to happen and felt like I was going against the current and just felt so defeated. Now, I just need to keep cool and not screw up the process and just get out of my own way. You're an amazing teacher - can't thank you enough for strengthening my faith!" "Just got a brain clearing and massive dose of sparkles, light beams and visions of snowy mountaintops touching the sky thanks to Yogi Brent at Golden Bridge Yoga"
"Brent is the real deal. 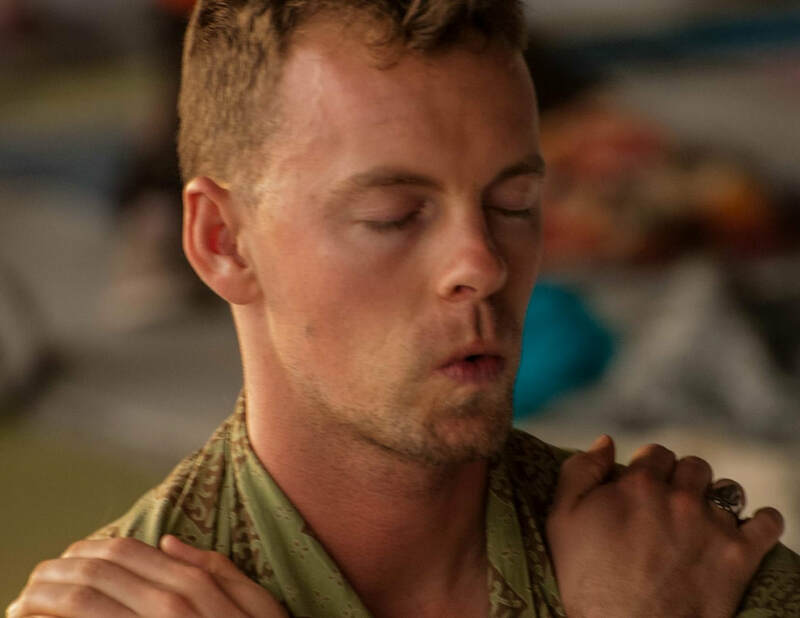 The only thing greater than his knowledge of yoga, chanting and breathwork is his enthusiasm for it"
"Yoga with Brent is phenomenal and I have made it a part of my regular schedule. His dedication to his practice is evident in his teachings. 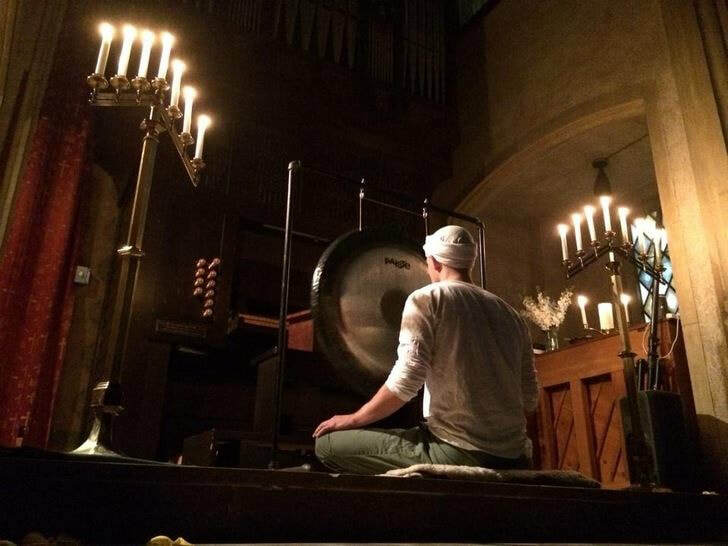 He is able to address any situation I may be going through with powerful words and intensive physical practice. Always rewarding and uplifting, I am blessed to be his student."